Fight Network to exclusively broadcast live preliminary fights of UFC pay-per-view events, UFC Fight Night® prelims, pay-per-view events on a 30-day delay, new seasons of The Ultimate Fighter® reality series and other UFC shoulder and original programming, including UFC NOW, UFC COUNTDOWN, event weigh-ins and press conferences. Fight Network and UFC® today announced a new agreement for Italian broadcast media rights to UFC global events. A subsidiary of Anthem Sports & Entertainment Corp., Fight Network will deliver a slate of marquee UFC programming to fans in Italy on DTT (digital terrestrial television) Channel 62, including preliminary fights of UFC pay-per-view events and UFC Fight Night events, broadcasts of all UFC pay-per-view events on a 30-day delay and new seasons of The Ultimate Fighter® reality series. Fight Network kicks off its UFC coverage in Italy this Monday, Jan. 15 with the UFC FIGHT NIGHT: STEPHENS vs. CHOI PRELIMS from St. Louis. The two-hour UFC FIGHT NIGHT PRELIMS begin on Monday, Jan. 15 at 1:00 GMT (2:00 CET) with four exciting bouts. No. 10 ranked lightweight Michael Johnson (18-12) moves to 145 pounds to face No. 10 ranked featherweight Darren Elkins (24-5). James Krause (24-8) faces Alex White (12-3) in a lightweight tilt. Matt Frevola (6-0) and Polo Reyes (8-4) square off in another 155-pound battle. And veterans Thiago Alves (26-11) And Zak Cummings (21-5) open the telecast with a welterweight bout. Additional UFC programming will launch on Fight Network in Italy and includes UFC NOW, UFC COUNTDOWN, ROAD TO THE OCTAGON, event weigh-ins and press conferences, as well as library programming highlighting the UFC’s best fighters and biggest moments leading up to today. For a full listing of Fight Network’s broadcast schedule, please visit http://www.fightnetwork.com, follow us on Twitter @fightnet, become a fan on Facebook and visit us on Instagram @fightnet. 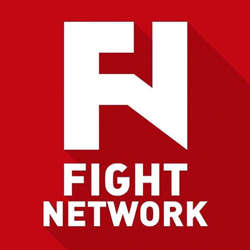 Fight Network (http://www.fightnetwork.com) is the world’s premier combat sports network dedicated to complete coverage of combat sports, including fights, fighters, fight news and fight lifestyle. The channel is available on cable, satellite and telco systems across the U.S., Canada, Europe, Africa and the Caribbean, as well as Roku and Apple TV devices across North America. Fight Network is a subsidiary of Anthem Sports & Entertainment Corp., a leading global sports media company. Fight Network also operates Dare to Defend, a non-profit organization aimed at addressing the issue of domestic violence and gender inequality, empowering women in the process.